When Amelie realized social work wasn’t for her, she made a 180 and became a plumber. 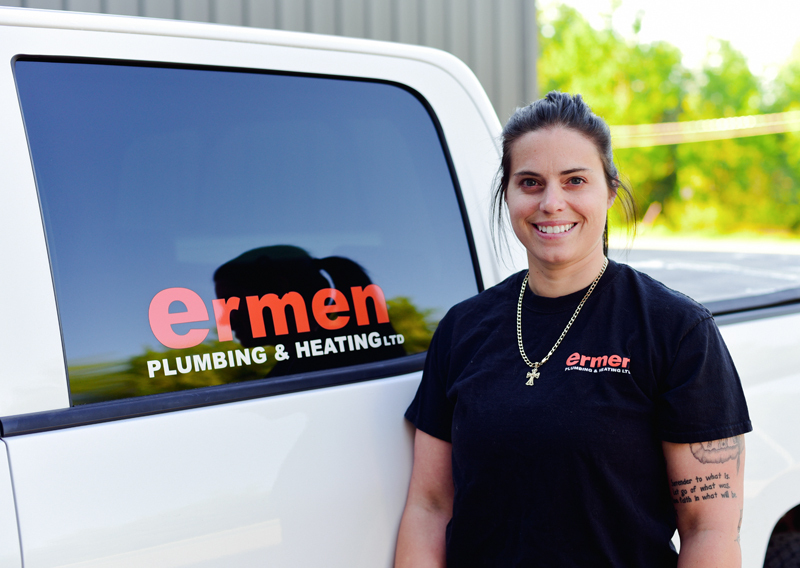 Having some of her father’s handiness has paid off for her as she made the transition and joined the big family of Ermen Plumbing and Heating. Bringing her 5 years of experience to the Ermen team, Amelie loves problem-solving and loves leaving a customer happy. Born and raised in Lameque, NB, she believes that doing some things on your own can be rewarding, but some things require the hand of a professional and that’s where she comes in. Even when it’s a backed up sewer in a small space, or being stuck in a tunnel with rodents, Amelie will always come through for her clients.